To be honest, I don’t read a lot of non fiction, so I didn’t know what to expect when I picked this book up. It did not disappoint. My investment experience is minimal and revolves around the shares that I receive every year from my company. I always wanted to be more active in the market, but lack the confidence. 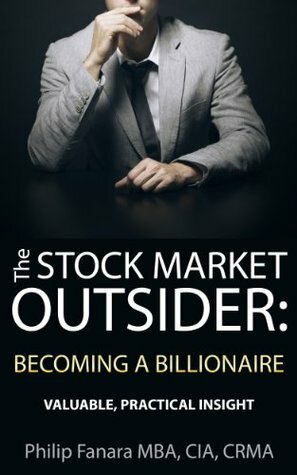 I think this book offers some sound tips and ideas about how you should go about creating your investment strategies. I took notes and will try out the strategies provided in the text. I think what I enjoyed the most about this book was the author’s delivery. Yes you are reading it to become educated, but it doesn’t really feel like you are being educated. There is enough information and humor to make the book fly by, and it does fly by. I like the authors no nonsense approach, and I felt like he was honest and straight forward from the get go. 5 out of 5 stars. J.G. Gatewood’s epic fantasy a must-read tale. This was a very interesting story that I really enjoyed. It was a little bit fantasy, a little bit historical fiction, and a little bit sci-fi. Together it created a unique story that I could hardly put down. It was a very quick read. I felt like the ending seemed a little bit rushed, but it didn’t detract from the overall story and concluded how I would have expected it to. I loved how the characters developed during the story, and how they also connected through the different time periods. I found myself pulling for all of the Caldeans and loved the world they had created within Earth. I would recommend this to any one and have rated it 5 of 5 stars.